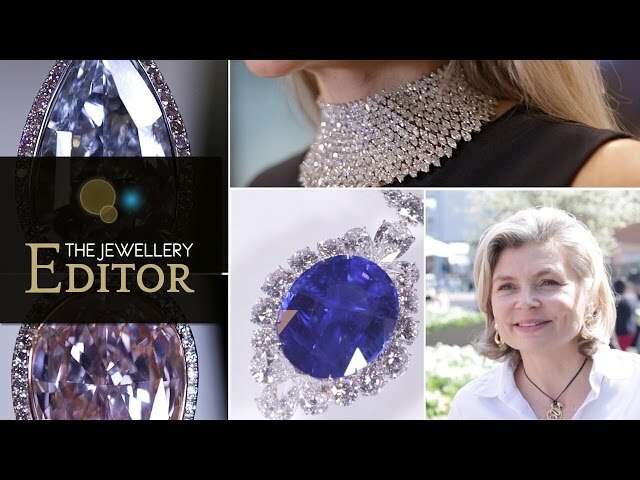 Favoured by jewellers for centuries, the sapphire was once believed to exude heavenly rays, and today it remains one of the most prestigious stones in the gem world. Lucky September babies get to call this jewel their birthstone. The range of hues that the sapphire exhibits covers virtually every colour of the rainbow, each of which originates from a different corner of the globe. The best-known variety is, of course, the famous cornflower-blue sapphire. Get the low-down, the look and a guess at the price of Princess Eugenie's rare padparadscha sapphire engagement ring. After flirting with the unusual and uncharted, many jewellers are returning to the classic sapphire, emerald and ruby trinity. Confused about birthstones? Our comprehensive guide gives you an insight into the stories behind birthstones. This valuable gemstone comes from the mineral corundum. Although blue is the most popular colour, sapphires may also be pink, yellow, purple and colourless. Many sapphires have been heat treated to bring out their blue hue. Sapphires have excellent hardness and their durability rating is 9 on the Mohs scale. It's blue sapphire month on The Jewellery Editor, and these ladies' watches play with the striking contrast of icy white diamonds and the regal blue stone. Blue gems are back in vogue. Step forward the new breed of jewellery designers who are incorporating classic blue sapphires into unique engagement rings. In contemporary jewellery, tracking down a star sapphire of a quality that means you don't have to carry a torch with you to show it off is a tall order.